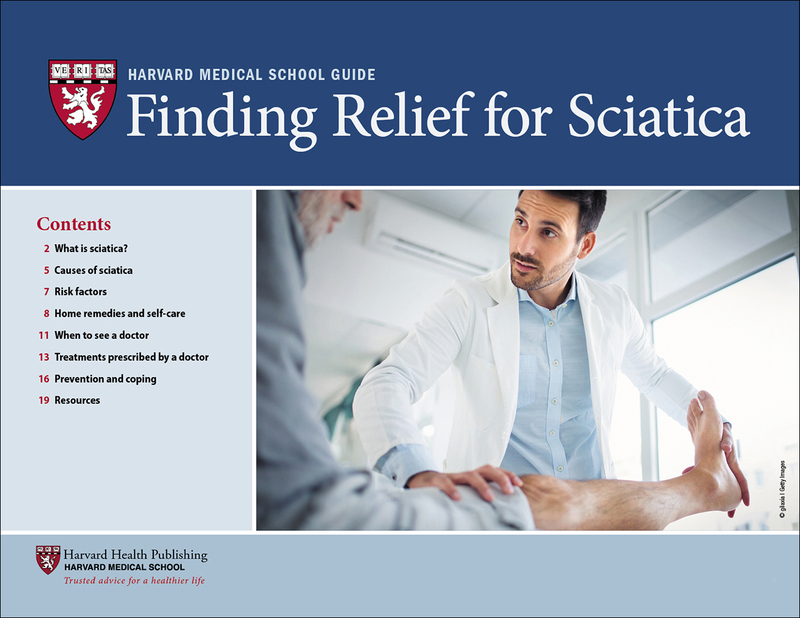 In this guide, we will explore sciatica—its causes, risk factors, and treatments. We’ll discuss who is at higher risk for sciatica and how it can be mistaken for other types of nerve pain. We’ll explore at-home care that can help people with sciatica find relief and discuss when it’s advisable to see a doctor. We’ll also discuss medical treatments, such as injections and surgery, that help some people. Finally, we’ll explain ways to prevent sciatica or at least lower your chances of experiencing it. When the shooting, burning, tingling pain of sciatica strikes, you need help fast. And once you’ve had an attack, you sure don’t want it to return. That’s why Finding Relief for Sciatica is so important to you and your loved ones. Know your enemy: Detailed illustrations and clear explanations help you visualize the causes of sciatica so you can more confidently apply proven home remedies. Are you at risk? Anyone can experience sciatica, but research shows that there are five factors that increase your risk. Find out if you have one of them. Easy-does-it stretches help lessen the pain and allow the nerve to heal. Discover the simple stretches that are particularly helpful for sciatica. Cold or heat? Ice packs and heat can both be used to treat sciatic pain and help you function better. Find out when to apply each and for how long for best results. Top treatments doctors may prescribe: While most sciatica gets better on its own, a doctor may prescribe medications, physical therapy, injections or chiropractic adjustments. (Most people don’t need surgery). Complete details in Finding Relief for Sciatica help you to make the most informed decisions. How to help prevent sciatica: Discover the best core exercises to help strengthen your spine…simple exercises to increase strength and flexibility…and stress-reduction techniques to help reduce pain. Finding Relief for Sciatica brings you the best sciatica pain relief and prevention techniques together in one convenient online source. Order now and discover vital information and techniques any time and any place on your phone, tablet or desktop! Anyone can experience sciatica, but research shows that certain factors can increase risk. Age. 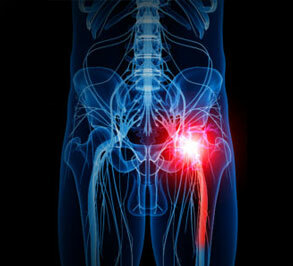 While sciatica can occur in any age group, adults ages 30 to 50 are most at risk. Spinal discs begin degenerating at about age 30, so sciatica due to a herniated disc (the most common cause) can occur beginning around this age as well. Spinal stenosis tends to start showing up in adults around age 50 or 55. Obesity. Obesity increases the risk of almost every health condition. So it shouldn’t be surprising that it can elevate your risk for back pain and sciatica, too. Over time, carrying extra weight can increase stress on the spine and the spinal discs. Sedentary lifestyle. People who sit for long periods or are not active are at greater risk for sciatica. If your job involves a lot of sitting or driving, your spine is being compressed. This can lead to back pain or sciatica. Manual labor. If your job involves lots of heavy lifting or twisting, or you operate a jackhammer or other equipment that vibrates, you may be at increased risk of sciatica. These activities put a lot of stress on your spine. Diabetes. Poorly controlled diabetes can increase the risk of damage to nerves, including the sciatic nerve. However, nerve damage from diabetes is not likely to cause pain—it’s more likely to cause numbness or tingling. If you’re overweight, you’re not active, and you have numbness or tingling in your legs or feet, talk with your doctor and get tested for diabetes.